Which advice to you follow to get a good night’s sleep? Do you drink a warm glass of milk or avoid dairy before bedtime? Do you sip red wine or have no alcohol for at least three hours before you go to bedtime? What about exercise at bedtime? Does that help you fall asleep or keep you awake? So much confusion and so many contradictions. In this session with Dr. Elliott Alpher, a pioneer in the treatment of sleep disorders, you will learn how to cut through the clutter and get to the real science that helps you sleep. You’ll also learn how to plan for jet lag, as well as the benefits of restorative naps. When you sleep at night, life-renewing oxygen pushes into all your organs and your brain. However, for millions of people, who suffer from obstructive sleep apnea, this vital oxygen supply is cut off and the sleeper literally gasps for air. Obstructive sleep apnea is linked to many life-threatening diseases such as high blood pressure, heart attacks, Type II Diabetes, strokes and depression, and ADHD in children. In this conversation, Dr. Elliott Alpher, a pioneer in the diagnosis and treatment of OSA, discusses the signs and offers non-invasive and science-based treatment options. IS YOUR CHILD’S ADHD REALLY A SLEEP DISORDER? If your child is a mouth-breather, snores or suffers from Attention Deficit Hyperactivity Disorder, there could be a link between sleep obstructive breathing, ADHD and other serious symptoms. Learn from Dr. Alpher about the drug and surgery free treatment that has helped many children live healthier and without gasping for air. Many medical professionals have a role in discovering and diagnosing the connection between obstructive breathing, sleep apnea or jaw pain and a host of more serious health concerns. Poor sleep can be linked to heart attacks, strokes, depression, ADHD and bedwetting in children, high blood pressure, Type II diabetes, depression, and in rare cases, death. Learn how to recognize the symptoms of an underlying sleep disorder. Dr. Elliott Alpher, a pioneer in the diagnosis and treatment of OSA, explains the medical link between these serious conditions and offers a non-surgical, drug free treatment option that has helped hundreds of thousands of people worldwide. Falling asleep at work or coming to work exhausted are all too common. In fact, an international study conducted by the RAND Corporation in 2017 indicated that 76% of workers feel tired and 15% fall asleep on the job at least once a week. The study says lack of sleep and fatigue cost businesses $411 billion a year. With employees traveling around the globe, working flex schedules and in virtual offices, getting enough sleep seems almost impossible. Dr. Elliott Alpher, who is a pioneer in the diagnosis and treatment of sleep disorders, says getting a good night’s sleep is critical to productivity and long-term health. Well-rested employees are more productive, more creative, more engaged and make fewer mistakes. Dr. Alpher offers science-based evidence to support techniques for improving the quality of sleep, recognizing sleep health problems and diagnosing and treating life-threatening sleep disorders. He discusses trends such as napping rooms, sleeping pods and other innovations that allow employees to rest when needed. He cuts through the myths and gets to the accurate, medically-sound ways to get restorative sleep so that employees are more productive and healthier. For the past two decades, Dr. Elliott Alpher has worked diligently to generate public awareness of the various aspects of craniofacial pain disorders such as TMD, TMJ and Sleep Disorders. He has lectured throughout the United States, as well as Europe and South America, and has authored, co-authored and published many studies on TMD and sleep disorders. Dr. Alpher has dedicated his life’s work to three different specialty areas: temporomandibular disorders (TMD/TMJ) or conditions that affect the jaw and chewing muscles, snoring and sleep apnea. All of these jaw pain and sleep disorders can be interrelated and one can lead to another. 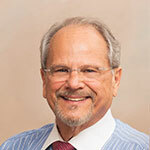 His development and use of conservative, non-surgical techniques to treat TMD, TMJ, and sleep disorders has revered Dr. Alpher among his more than 10,000 patients. A dental surgery graduate of Georgetown University Dental School with post graduate work in Oral Pathology and Periodontics at the Walter Reed Army Institute of Research, Dr. Alpher created the oral screening program at the U. S. Department of State and served as a consultant to their medical department. Dr. Alpher is an associate clinical professor of oral surgery at George Washington University Medical Center as well as clinical assistant professor of otolaryngology at Georgetown University Medical Center. He is on staff at the National Rehabilitation Hospital, Prince George’s Medical Center and Providence Hospital. He also holds certification in craniofacial pain and pain management and a mastership from the International College of Craniomandibular Orthopedics. Dr. Alpher is a diplomat of the American Sleep and Breathing Academy as well as Academy of Craniofacial Pain. He is the founder of The Alpher Center in Washington, D.C. where he helps patients recover from sleep disorders, jaw pain and helps them thrive. Dr. Alpher and his wife, Lee, live in Maryland with their Standard Poodle, Max, who is really in charge. Dr. Alpher pioneered a conservative, non-invasive approach utilizing computerized and verifiable diagnostic methods to treat craniofacial pain as well as sleep disorders. This method of craniofacial pain and sleep disorder treatment has proven to be greatly successful, and is highly regarded as the first method of choice by physicians and patients. A dental surgery graduate of Georgetown University Dental School with post graduate work in Oral Pathology and Periodontics at the Walter Reed Army Institute of Research, Dr. Alpher created the oral screening program at the U. S. Department of State and served as a consultant to their medical department. Dr. Alpher is an associate clinical professor of oral surgery at George Washington University Medical Center. He is on staff at the National Rehabilitation Hospital, Prince George’s Medical Center and Providence Hospital. He also holds certification in pain management and is a diplomate at the Academy of Craniofacial Pan and holds a mastership from the International College of Craniomandibular Orthopedics.